Below are summaries of some basic principles you should understand when evaluating an investment opportunity or making an investment decision. Rest assured, this is not rocket science. In fact, you’ll see that the most important principle on which to base your investment education is simply good common sense.You’ve decided to start investing. If you’ve had little or no experience, you’re probably apprehensive about how to begin. Even after you’ve found a trusted financial advisor, it’s wise to educate yourself, so you can evaluate his or her advice and ask good questions. The better you understand the advice you get, the more comfortable you will be with the course you’ve chosen. Don’t worry if you can’t understand the experts in the financial media right away. Much of what they say is jargon that is actually less complicated than it sounds. You’ll learn it soon enough, and there is no reason to wait to invest until you know everything. 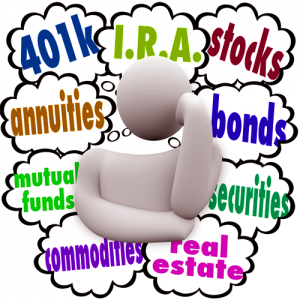 As a preliminary matter, let’s address a source of confusion that immediately throws many new investors off: If you have an individual retirement account (IRA), a 401(k), or other retirement plan at work, you should recognize the distinction between that account or plan itself and the actual investments you own within that account or plan. 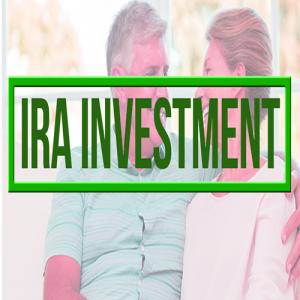 Your IRA or 401(k) is really just a container that holds investments and has special tax advantages. Folks often get confused when that distinction is not pointed out. Almost every portfolio contains one or both of these kinds of assets. If you buy stock in a company, you are literally buying a share of it from an existing owner who wants to sell. You become an owner, or shareholder, of the company. As such, you take a stake in the company’s future. If the company prospers, there’s no limit to how much your share can increase in value. If the company fails, you can lose every dollar of your investment. If you buy bonds, you’re lending money to the company (or governmental body) that issued the bonds. You become a creditor, not an owner, of the bond issuer. The bond is your IOU. 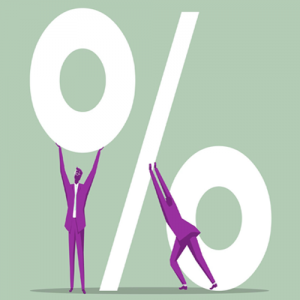 As a lender, your return is limited to the interest rate and terms under which the bond was issued. You can still lose the amount of the loan (your investment) if the company or governmental body fails, but the risk of loss to creditors (bondholders) is generally less than the risk for owners (shareholders). This is because, to stay in business, a company must maintain as good a credit rating as possible, so creditors will usually pay on time if there is any way at all to do so. In addition, the law favors bondholders over shareholders in the event of bankruptcy. 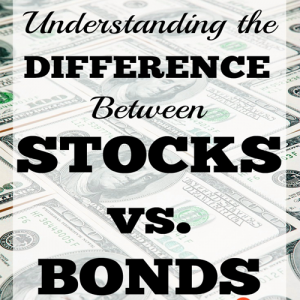 As a matter of jargon, stocks (and stock mutual funds) are referred to as equity investments, while bonds (and mutual funds containing bonds) are often called investments in debt. This is the most important of all investment principles, as well as the most familiar and sensible. Consider using several different classes of investments for your portfolio. Examples of investment classes include stocks, bonds, mutual funds, art, and precious metals. These classes are often further broken down according to more precise investment characteristics (e.g., stocks of small companies, stocks of large companies, bonds issued by cities, bonds issued by the U.S. Treasury). Investment classes often rise and fall at different rates and times. Ideally, in a diversified portfolio of investments, if some are losing value during a particular period, others will be gaining value at the same time. The gainers help offset the losers, and the total risk of loss is minimized. The goal is to find the right balance of different assets for your portfolio. This process is called asset allocation. Within each class you choose, consider diversifying further among several individual investment options within that class. For example, if you’ve decided to invest in the drug industry, it might be wise to make smaller investments in Company A, Company B, and Company C, rather than put all your chips on one of them. For present purposes, we define risk as the possibility of losing your money, or that your investments will produce lower returns than expected. Return, of course, is your reward for making the investment. 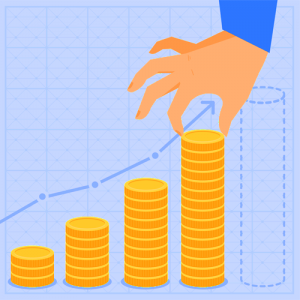 Return can be measured by an increase in the value of your initial investment principal and/or by cash payments directly to you during the life of the investment. 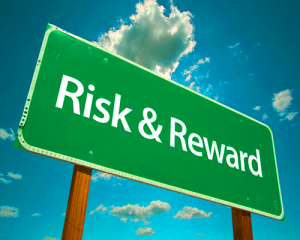 There is a direct relationship between investment risk and return. When someone proposes an investment and suggests otherwise, we know, “it’s too good to be true.” Invariably, the lowest-risk investments will be among the lowest-returning at any given time (e.g., a federally guaranteed bank certificate of deposit). The highest-risk investments will offer the chance for the highest returns (e.g., stock in an Internet start-up company that goes from $12 per share to $150, then down to $3). 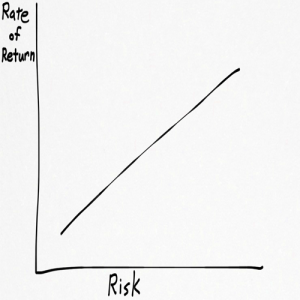 Between the extremes, every investor searches to find a level of risk–and corresponding expected return–that he or she feels comfortable with. As an investor, you face an immediate choice: Do you want growth in the value of your original investment over time, or is your goal to produce predictable, spendable current income–or a little of both? Consistent with this investor choice, investments are frequently classified or marketed as either growth or income oriented. U.S. Treasury notes, for example, provide regular interest payments, but if you spend that money, of course, your original investment cannot grow. In contrast, investing in a new software company, for example, will typically produce no immediate income. New companies generally reinvest any income in the business to make it grow. If they are successful, the value of your stake in the company should likewise grow over time. There is no right or wrong answer to the “growth or income” question. Your decision should depend on your individual circumstances and needs (e.g., your need, if any, for income today, or your need to accumulate a college fund, not to be tapped for 15 years). To help make an educated “growth or income” decision, you should have a feel for the result of either approach. With an investment made primarily for the production of current income, you’ll know in advance the size and timing of payments to expect. A simple example of compounding occurs with a bank certificate of deposit that is allowed to roll over each time it matures. Interest earned in one period becomes part of the investment itself, earning interest in subsequent periods. In the early years of an investment, the benefit of compounding on overall return is not exciting. As the years go by, however, a “rolling snowball” effect seems to operate, and the compounding’s long-term boost to investment return becomes dramatic. If you are new to investing, here are a few basic rules to keep in mind as you venture forward. As you know, there are no guarantees when it comes to investing, but following these tips–as well as heeding the sound advice of your broker or financial advisor–may help you stay out of trouble. Remember–if it sounds too good to be true, it probably is. Finance is a big word we as adults often cringe from. We are constantly being nagged with the idea of having to save for future needs, emergency funds, and other bills and utilities we need to pay. 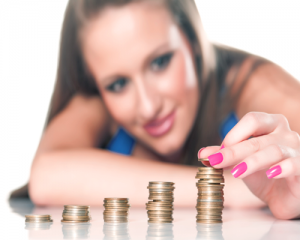 It is therefore important that you keep your finances straight and always watch your expenses. There’s no denying that the stock market is the best option to grow money, but because of how complicated it sounds youngsters tend to shy away from it. 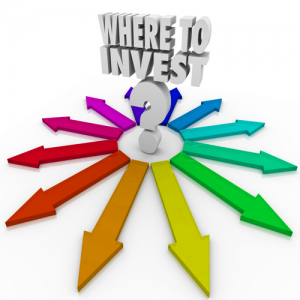 So let’s discuss some tips for you to better understand the basics of the investment world. If you have extra money, here are some basic investment tips to maximize it and not just let it sleep in the bank. 1.There’s no better day than today. Any kind of investment has a better yield rate when there is a longer time frame, you are never too young to start learning the basics of investment. If you can spare even 20 dollars monthly, then that will be suffice to make earnings grow more. In time you’ll realize that there is a big difference should you have started years earlier. Your monthly investment should be in direct proportion to how much you earn: as your income increases, so should your monthly investment too. Do not settle for the lowest amount but make it a point to reach a certain amount. 2. Talk with the pro’s. 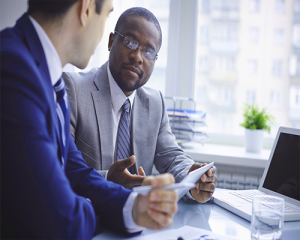 There are experts in this field that can help you jumpstart your investment. Have a list of questions, let them know your doubts and have them layout the pros and cons of each type of decision you want to do. Talking with professionals can also make you understand if the stock market really is something you would want to engage in or not. In most cases, they will be able to identify what type of investment is most feasible for you making it less of a worry to research and decide. 3. Be a regular consumer. Once you’ve entered the stock market and planning on buying shares, the first rule is to act like a normal consumer would. Start with products or services that you are familiar with: your favorite coffee chain, fast food, and even clothing line. By doing so you can better understand the trends of the market, with the basic knowledge of what you really do patronize. The stocks you buy of course should directly reflect your end goal, if you want long-term investments then set your goals on that path. Take a risk and try the investment process by yourself. Start by asking your bank if they have a discount broker that can help you, or even settle for their service. Discount brokers offer the service of buying and selling of stocks at a lower price than a full-service broker. However, you have to compensate for techniques as they do not offer investment advice. This is a great way to immense yourself in to fully understanding the market, start investing a small amount and see if you can facilitate your shares without being tied to a broker. Financial security is one of the reasons why we work hard every single day, and so we must take every measure to ensure that our hard-earned money is safe and will be properly managed. Start early and explore your options for investing, there’s no better time than now. Auto insurance brokers play extremely crucial role of acting as intermediaries between insurance companies and their clients. During this function, the brokers use their skills and expertise to interact with both parties. The objective of the broker is to ensure all possible risks likely to affect your vehicle are insured. Services provided by dgbevan have benefited majority of people who own automobiles in this area because considerable amount of money and time are saved. Furthermore, the brokers have access to the entire market, meaning they have capability of finding the best deal available. When you hire a broker, you’re only supposed to provide your details, and they will search the right insurance carrier for you based on your needs. In fact, brokers are professionals who clearly understand the industry, as well as different types of coverage offered by insurance companies. The broker will provide advisory service to you about the appropriate insurance plan to cater for your needs. A competent auto insurance agent Barrie knows the importance of providing professional services, and hence it’s their responsibility to spend some time personally with you in order to understand the kind of cover suitable for you. Moreover, they’ll consider the premium you’re ready to pay against your annual budget. The insurance broker you choose to hire must offer wide range of policies that can fit your needs. If the agent is only proposing one or two policies, then know he is not competent enough and may be not a professional. Insurance brokers must be ready to offer quality services as a way of building confidence among their clients. In Barrie, you can search through the yellow pages for a competent insurance agent. Also, you can decide to search online on various websites and you’ll be able to locate a genuine company. Professional auto insurance agents provide quotes from different insurance companies, and also updating public on new and existing covers suitable for vehicles. A professional and competent insurance agent would advice you to buy the most relevant policy for your motor based on its age and condition. It’s not always automatic they’d let you buy unworthy plans, more so if it’s a lucrative coverage and you car is not in good condition. A competent broker knows extremely well which companies have excellent plans as compared to others hence delivering value for your money. Therefore, it’s highly recommended to hire the services of auto insurance broker because they have the skills, experience and expertise required to ensure your insurance needs are addressed fully.